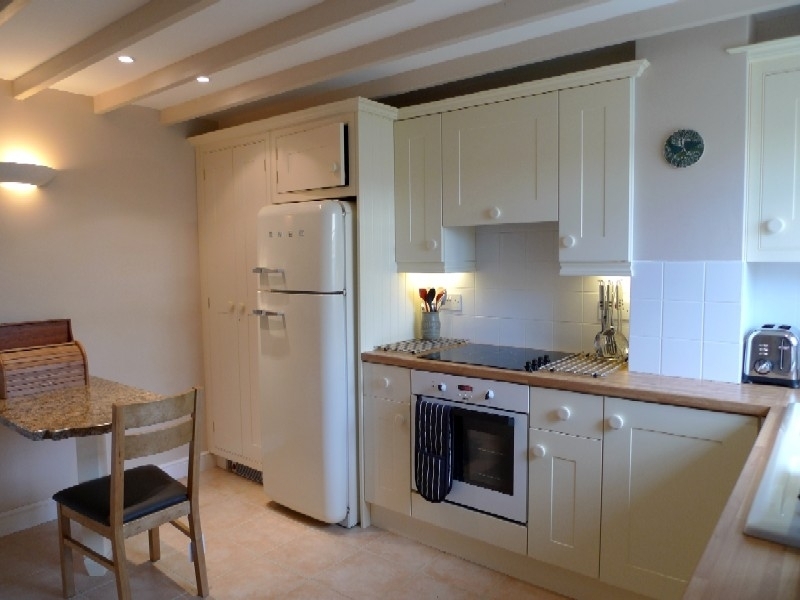 Kitchen: Lovely kitchen with cream fitted units with built-in electric oven and halogen hob, washer/dryer, Smeg fridge/freezer, microwave, table and 2 chairs. Sitting Room: With a wood-burning stove and exposed brick wall, leather sofa, armchair, TV & DVD. There is a dining table with 2 chairs, storage/convector heater and doors opening into the garden. The stairs are not steep and there's a hand rail. Bedroom 1: Spacious room with a king-size bed, bedside tables and lamps, built-in wardrobe, chest of drawers and electric convector heater. Bedroom 2: Single bed, bedside table and lamp, wardrobe with drawers, dressing table and electric convector heater. Shower Room: Large walk-in shower, hand basin, heated towel rail and WC. There are 2 private parking spaces in the shingled drive adjacent to the cottage. The small garden is fully enclosed, with established flower beds, and is predominantly paved with an outside table and chairs, making a lovely area to sit outside and eat. 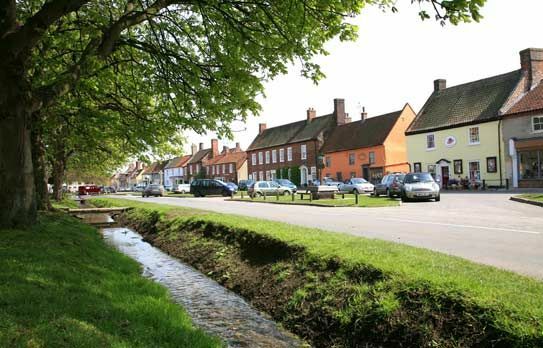 It is only a short walk to Burnham Market's village green with its excellent selection of independent shops and galleries.